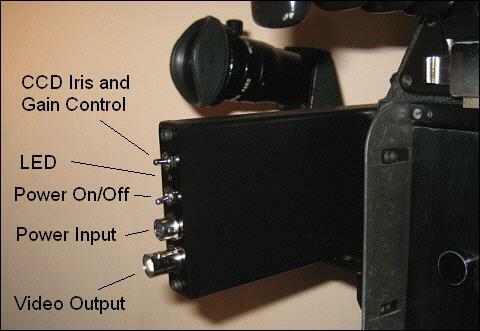 Our B&W or color video assist module for the Eclair NPR is mounted between the camera body and the viewfinder. 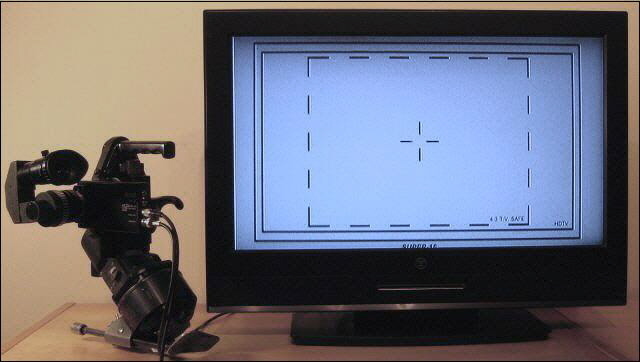 It allows the camera operator to look through the viewfinder while the director and others working on the production view the finder image before and during shooting on a monitor screen. 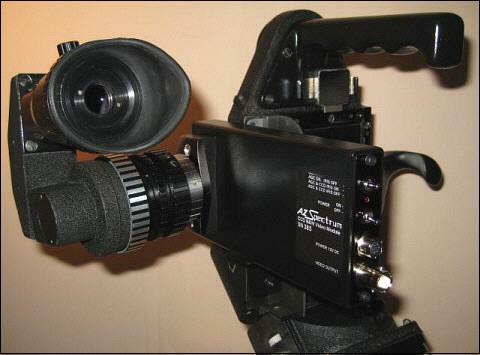 This unit has an on/off power switch, AGC/CCD iris switch and a BNC video output connector. It does not require a specific type of viewfinder. - Lower: AGC control is OFF (0dB) and CCD IRIS control is OFF.